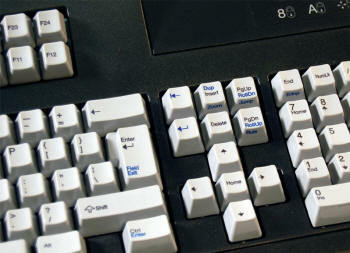 The 5250/PC 122 key keyboard (p/n KBPC122-5250P or KBPCPC122-5250U for USB) can be used with any PC or Thin Client Terminal connected to Microsoft Windows Terminal Server or Citrix. It is driverless keyboard, enabling it to be integrated smoothly in all operating systems. As a result, organizations can look forward to regaining the benefits of true terminal-style productivity.